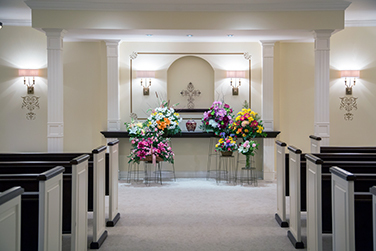 The average cost of a funeral varies, depending on the types of services selected. 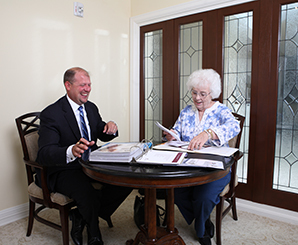 If you would like a personalized estimate, please contact us to set up an appointment or to discuss your options over the phone. How Do I Compare Funeral Home Prices? When comparing prices with other funeral homes, be sure to include all goods and services in the comparison to make sure you’re comparing total cost. Two of the biggest factors determining our costs are the time we spend with each funeral, and the use of our facilities. Our costs include numerous items like salaries, taxes, facility maintenance, inventory, supplies, meetings and paperwork connected with the service, coordinating the funeral and associated services (like flowers and music), vehicle operations and maintenance, continuing education, and much more. 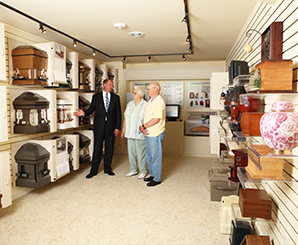 The quality and workmanship of casket and burial vault materials and other merchandise is also a cost factor. Finally, be sure to ask enough questions to assure yourself of the quality of the service you will receive. Do I Need To Buy A Vault? In most cases vaults are required by cemeteries, but not always. If you have a certain cemetery in mind, we can contact them to see if they require a vault for burial or not. Embalming is not required, but we use embalming for the following reasons - to allow adequate time between death and burial for visitations and funeral services, and to prevent the spread of infection. Without embalming, most remains become un-viewable within a short time. There are constant changes going on chemically and physically within the remains that change the looks and other qualities that we are accustomed to seeing. Embalming acts as a hindrance to this, and gives us the time needed to pay respect and express our sympathies. The State of Minnesota does not always require embalming, but in certain circumstances it may be required. Am I Eligible For Social Security Survivors Benefits And How Do I Apply? We can help you apply for Social Security survivors benefits. How you apply depends on whether or not you are getting other Social Security benefits. Please contact us directly and we will help you apply, or if you have additional questions, you can call the Social Security Administration at 1-800-772-1213. Can I Have A Visitation And Funeral Service If I Choose Cremation? Yes, cremation can occur after a public visitation or funeral service instead of a full burial. When choosing cremation, it is important to provide healing moments for your family with a meaningful ceremony, and by gathering together, paying tribute and celebrating a life well lived. How Many Death Certificates Should I Order? The number of death certificates you will need depends on the number of assets, accounts, or insurance policies of the deceased. Any asset, account, or insurance policy you need to close, change to a different name, or cash out will require a death certificate. What Do We Do When The Death Occurs Far From Home? If the death of a loved one occurs far from home and you wish to have services through our funeral home, contact us directly. We will schedule transportation from the place of death to our facility in Minnesota. If you are planning a trip, we also offer a Travel Plan that covers worldwide travel, and can provide peace of mind to families and individuals. Just one toll-free call begins the process of bringing the deceased home. One of our funeral directors is available 24 hours a day, 7 days a week. How Do I Go About Getting Veterans' Burial Benefits And/Or Arranging Burial At Fort Snelling? To apply for Veterans Benefits or to arrange for burial at Fort Snelling, the deceased’s discharge papers (DD214) are required. Your funeral director will complete the VA's burial benefit forms, obtain a flag, and schedule interment at Fort Snelling. How Do I Contact Social Security To Stop Disbursements? To contact the Social Security Administration and inform them that a death has occurred, call 1-800-772-1213. Any checks received the month of the death or after will need to be returned. In the case of direct deposits, you should also inform the deceased’s bank and request that any funds received during the month of death or after be returned. Does Your Funeral Home Handle Cremations? Yes, we can assist with any type of funeral service, whether it’s a traditional funeral service, a visitation, a cremation with a memorial service, a cremation after a funeral service, an immediate burial, or an immediate cremation.